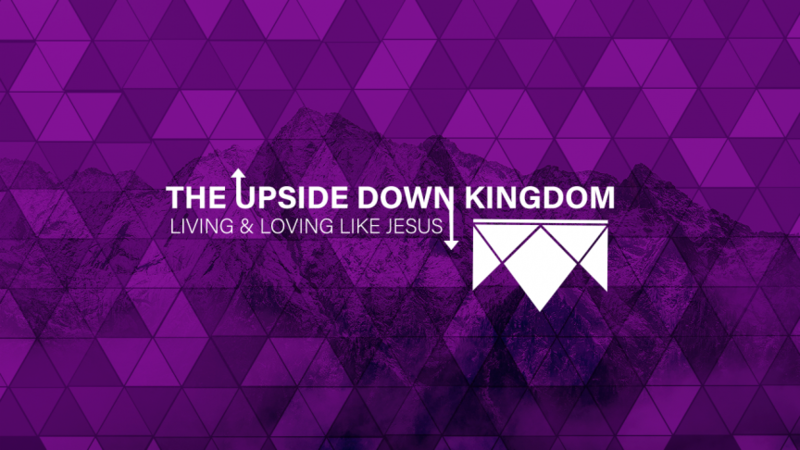 Yesterday was the thirteenth Sunday in our sermon series The Upside Down Kingdom. 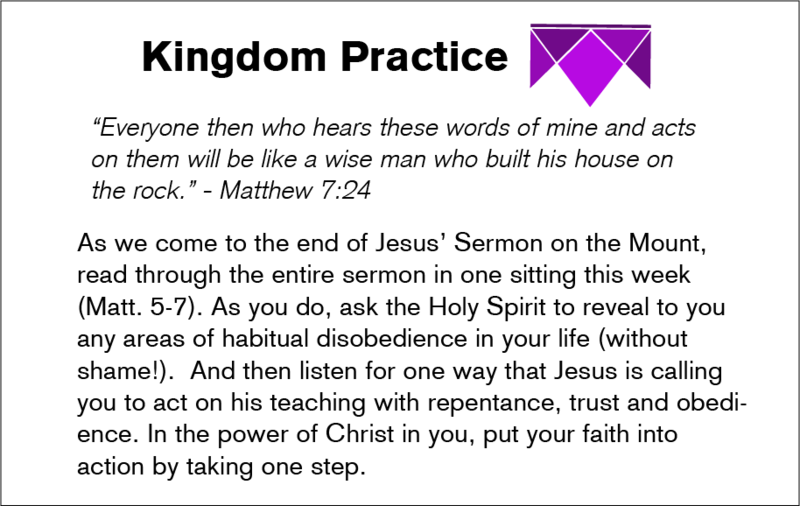 Pastor Brian Keepers preached from Matthew 7:21-29, engaging Jesus’ closing words in his Sermon on the Mount. Video Announcements: View Sunday’s video announcements HERE. 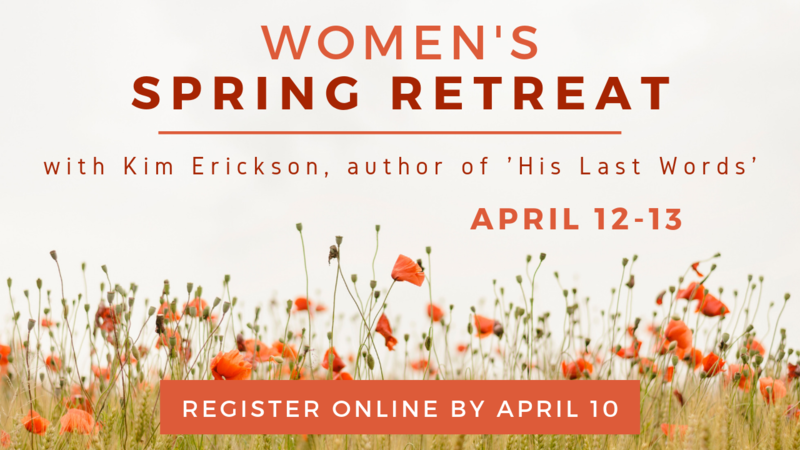 Women’s Spring Retreat: Women ages high school and above: we invite you to join us for our spring retreat! We’ll meet at Trinity on Friday, April 12 from 6:30-8:30pm and on Saturday, April 13 from 8:30am-2:30pm. We hope you can join us for fellowship, singing, delicious food, and challenging messages from speaker Kim Erickson. Kim is the author of ‘His Last Words’, a Bible study that was offered at Trinity last summer. Cost to attend is $15. Please sign-up and pay online by Wednesday, April 10. 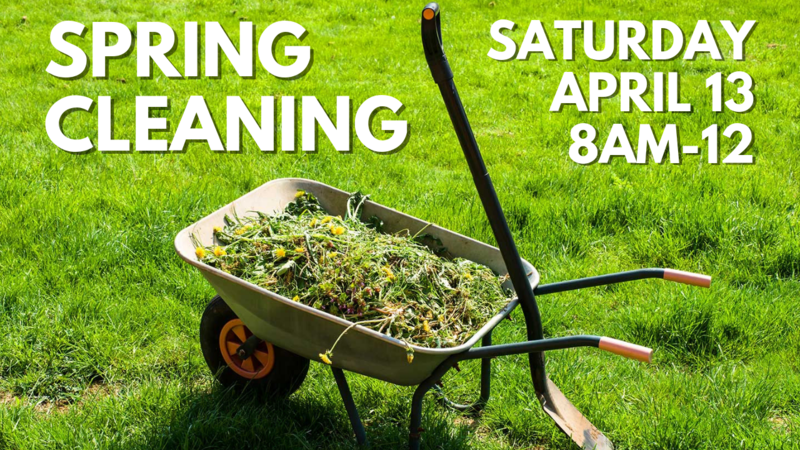 Spring Cleaning: With spring approaching we want to take some time to make sure our facility is ready for some of our outdoor ministries this spring and summer. Projects will include finishing some touches on the fire pit, cutting back the ornamental grasses, repairing the lawn from snow removal divots and picking up rocks. Please join us at Trinity on Saturday, April 13 from 8am to noon. Honduran Coffee at Trinity: Yes, you heard it right! On Sunday, April 14, we will serve coffee from Honduras out of our cafe. We have 4 recent graduates who are teaching and serving in Honduras at one of the Abundant Life Christian Schools. There will be a free-will basket at the coffee location and a card explaining who these students are and how you can pray for them. All of the money collected will go directly to the school ministry in these impoverished areas. Lent at Trinity: Looking for a space to slow down and just BE? Come and experience Lent together on Sunday, April 14 from 5-6pm in the sanctuary. We’ll gather and get settled, then have a time of guided prayer and reflection, followed by shared conversations. All are welcome! Men’s Bible Study: The Men of Trinity Bible Study will be offered the 1st and 3rd Tuesdays of each month from 7-8pm at Trinity. Our next Bible study is on Tuesday, April 16. CenterPoint Worship: Join us at First Reformed Church in Sioux Center on Tuesday, April 16 at 8pm for a time of prayer and worship with people across the Northwest Iowa region. All are welcome to come and join us in worship. Maundy Thursday Worship Service: Trinity and First Reformed Church of Hospers will worship together in Hospers on Thursday, April 18 at 6:30pm. We will share in a time of worship, prayer, and communion together. Trinity’s 100th Anniversary: Save the date for a celebration on Sunday, July 14 as we recognize and celebrate all that God has done at Trinity in the last 100 years! We don’t want to give too many details away quite yet, but we do encourage you to save the date as this will be an event you don’t want to miss. After all, it only comes once every one hundred years!